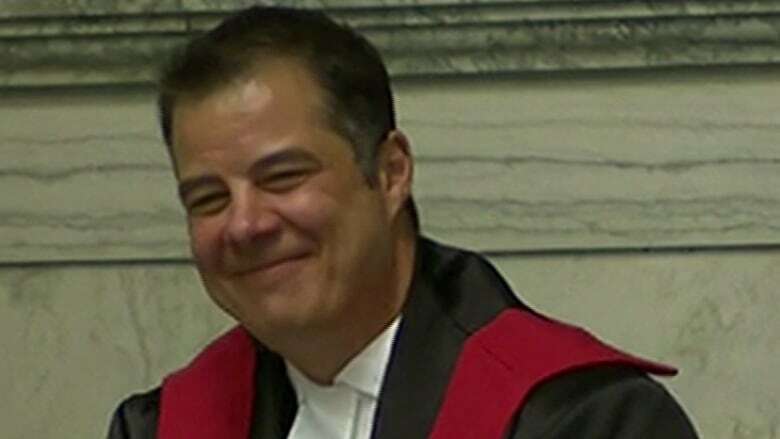 Canada’s first transgender judge officially took his seat in a Manitoba court Friday. Canada's first transgender judge has been sworn in, in Winnipeg. After being appointed to the bench in mid-December, former Crown attorney Kael McKenzie officially took his seat in the Manitoba court Friday. "Kael is the first self-identified transgender judge in Canada and that is something to be celebrated," a judge said to a crowd of applause at the swearing-in ceremony. "Kael is a proud member of the Manitoba Métis Nation. His appointment can only serve to strengthen public confidence in the administration of justice in this province." McKenzie was praised for his involvement in the legal community before saying a few words himself. "I'm just so grateful for the faith that's been bestowed upon me," McKenzie said. He started off by honouring his heritage, acknowledging the ceremony was taking place on Treaty 1 land, and explained that his experiences in the Canadian Forces and as a transgender man have helped him feel connected to Manitoba. When news of the appointment broke in December, McKenzie said he received an outpouring of support from family, friends and strangers from across the country. The appointment helped some Canadians embrace their own gender identity, McKenzie said. He even had parents of transgender kids explain how important the announcement was for them. "They acknowledged their fears for their childrens' futures, and somehow my appointment helped allay some of those fears," he said. "They came out with a message of renewed hope that their children would have bright and prosperous futures, regardless of their gender identity." The parent of two ended by thanking his wife and kids. "I have two great sons. This day would not be complete without them," he said. "They've been the centre of my universe and I love them very much. I'm glad they agreed to miss school today."